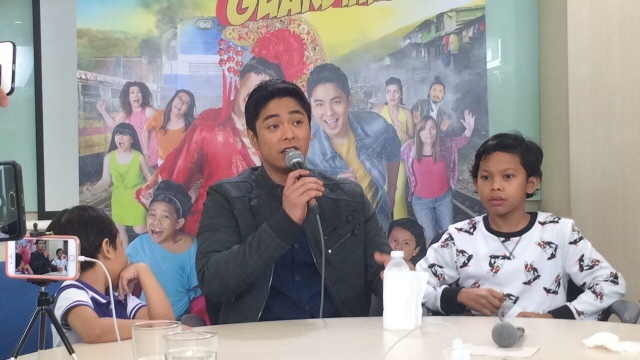 It looks like Star Cinema is gearing for another blockbuster movie as they release ahead of Christmas this Coco Martin and Vice Ganda starrer called "The Super Parental Guardians". This movie was written by Danno Mariquit and Alpha Habon and Directed by Bb. Joyce Bernal. It's the love hate relationship of Arci and Paco, who were given the task of taking care of their bestfriend's children Megan and Ernie (played by Awra and Onyok) as her last dying wish. They become unsuspecting parents of the kids and it just becomes a riot. Here's a video clip of our interview with the good looking Coco Martin!